“Make things as simple as possible, but not simpler.” Ah my favourite Einstein quote. Apart from the Infinity project, here’s what we’ve been working on for the past couple of months: Coming very soon, an easy to use Neo setup. 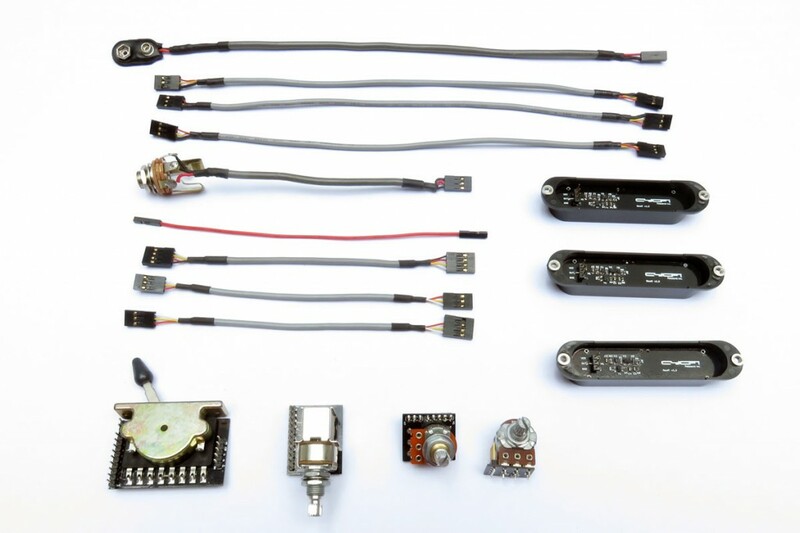 This solderless system includes everything you will need to get an extended response pickup system up and running as quickly as possible. 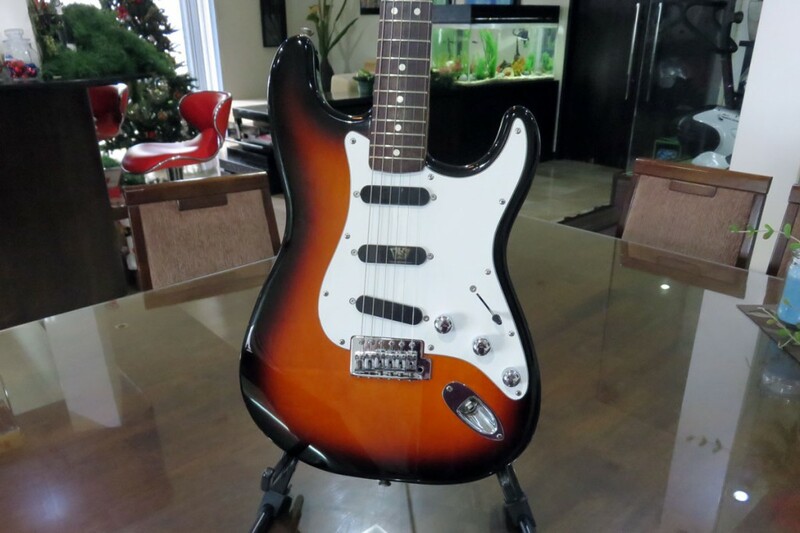 This setup shown is for a Fender Stratocaster S-S-S configuration, but various customisations are possible. For example, the bridge pickup can be paired with a Neo6 multichannel pickup (my favourite setup!). Dual humbuckers? Sure, that’s two pairs (four pickups). The tonal combinations would be awesome if you combine four pickups in various ways. Or how about 6 pickups! In addition to 6 string pickups, available on request, we will also offer pickups for 7, 8 and 9 strings (we are committed to the ERG crowd!). We use premium components only (Bourns potentiometers, Switchcraft jacks, gold-plated headers and connectors etc). 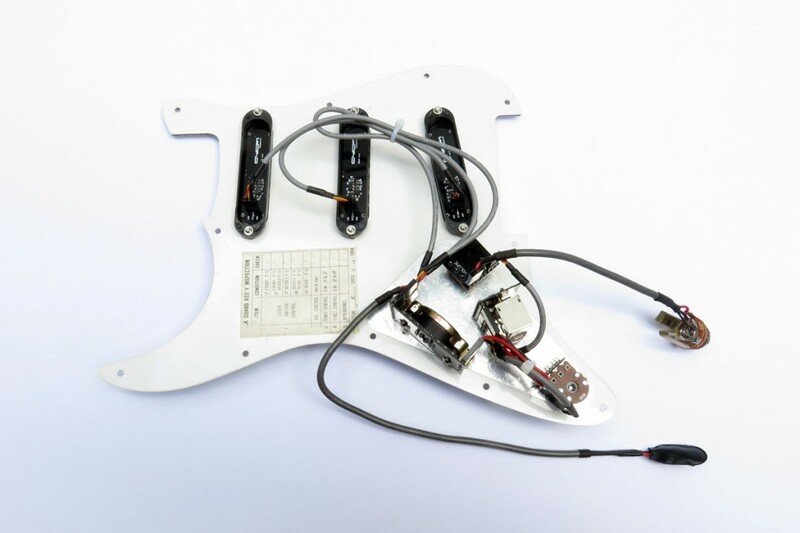 Here’s the system on a Fender Stratocaster. I love it so much I decided to keep it permanent! I’ll post some sound clips soon. Extended Response pickups on a Strat!